Two months ago the makers of the popular web-based 3D modeling program Tinkercad announced its closure. 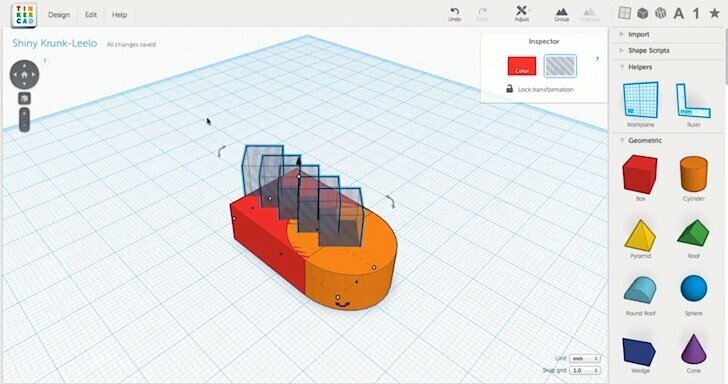 The success of Tinkercad is due in part to its clean and simple interface that makes CAD fun and easy, and also the cloud-based supercomputing power behind it. In improving the modeling kernel, the developers realized there was untapped functionality as it related to physics simulations. In a strange move, the founders decided to shut down the Tinkercad service in order to dedicate attention and resources to the new simulation environment called Airstone. People were shocked. We were shocked. It was a sad day for modelers, no matter how exciting the news was for those that need physics simulated. But now, good news — Tinkercad is back! And it’s being acquired by Autodesk! And the free version has been enhanced! It’s a lot, I know. Here’s the important part of the Tinkercad blog post explaining why you should be giddy: “The shutdown plan has been rolled back and effective immediately new users are again able to sign up for the site. Even better, at the request of Autodesk, we have supercharged the free plan. You can now create unlimited designs, all import and export functionality is enabled and ShapeScripts are turned on for free accounts.” Thanks for the request Autodesk. After all, Blender, the totally free modeling software is doing well keeping up with the needs of the maker community by incorporating 3D printing optimization functionality. So thankfully Autodesk is including a 3D print function in the 123D suite. This Tinkercad announcement means that great things are coming for us that are both frugal (poor) and not adept (bad) at 3D modeling. The blog post states that the advanced free plan will be offered for only a limited time, so sign up while it lasts.